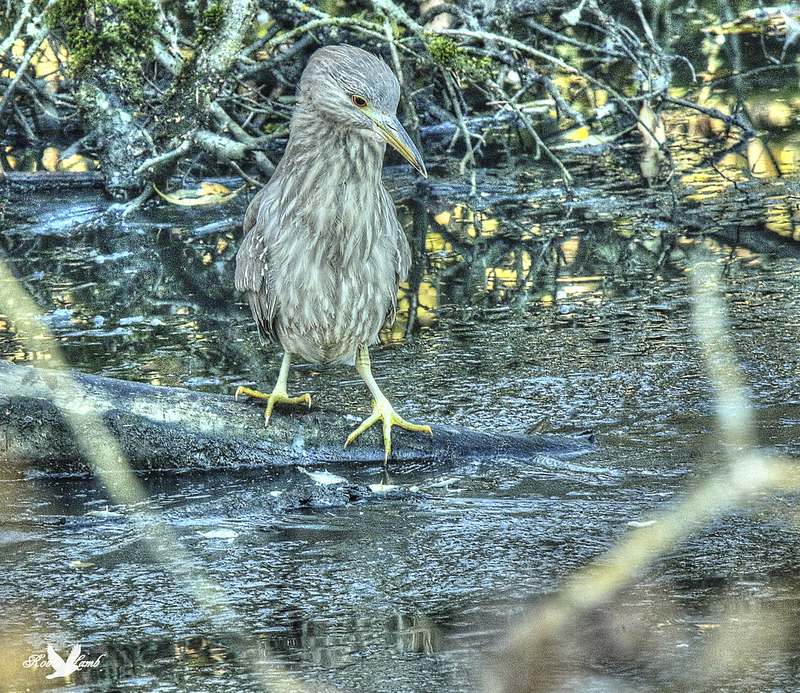 A juvenile Black-crowned Night Heron, looks on in frustration at the minnows swimming near by under the ice. Unable to figure out how to get to them, it regurgitates what ever was in it’s craw and then re-ate it’s lunch. Notice the minnows at it’s feet on the ice! This entry was posted on 2014/11/17 by Robin. It was filed under Birds and was tagged with B.C., Black-capped Night-Heron, Juvenile, Ladner, Reifel Migratory Bird Sanctuary. Poor little thing. I hope he got a real meal later. Pat, me too! It seemed to be doing alright for itself! Lovely Night Heron juvenile, poor thing, it’ll get a dinner, I think!!!!!!!!!!!!! Bob, thanks! I don’t think it will go hungry! Mum & Dad were close by! Humm, loved the photo, but not your explanation – haha. I’m not too hungry for lunch right now! Karen, lol! Gotta tell it the way it is!